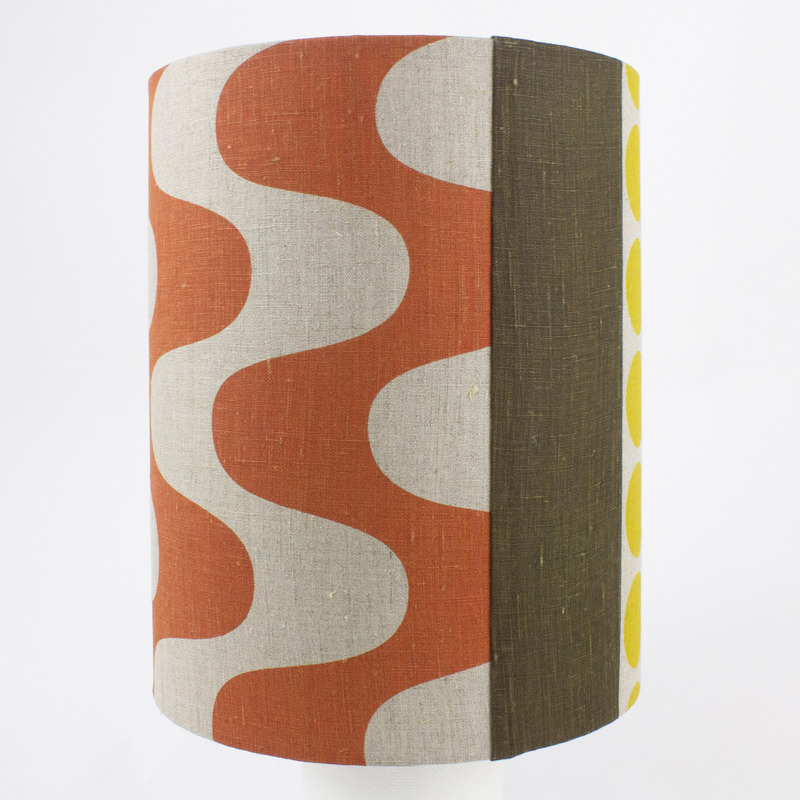 Our Spot and Swirl print lamp shade instantly evokes a groovy mood in any room. 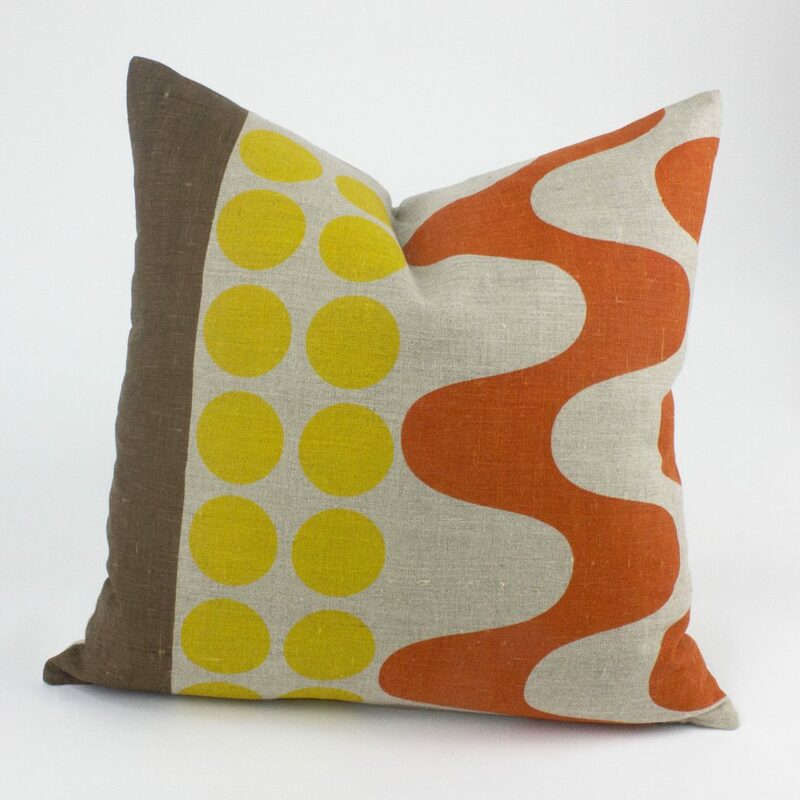 Hand printed on flax linen with a white lining this shade measures approximately 28cm diameter and 35 cm high. 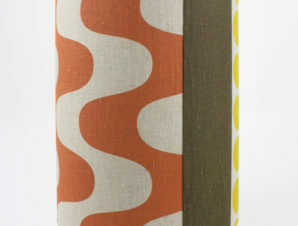 Hand Screened and hand rolled by Bob, this design and colour way will make a striking addition to your space. Collection from our Sydney workshop is possible – please call for details.